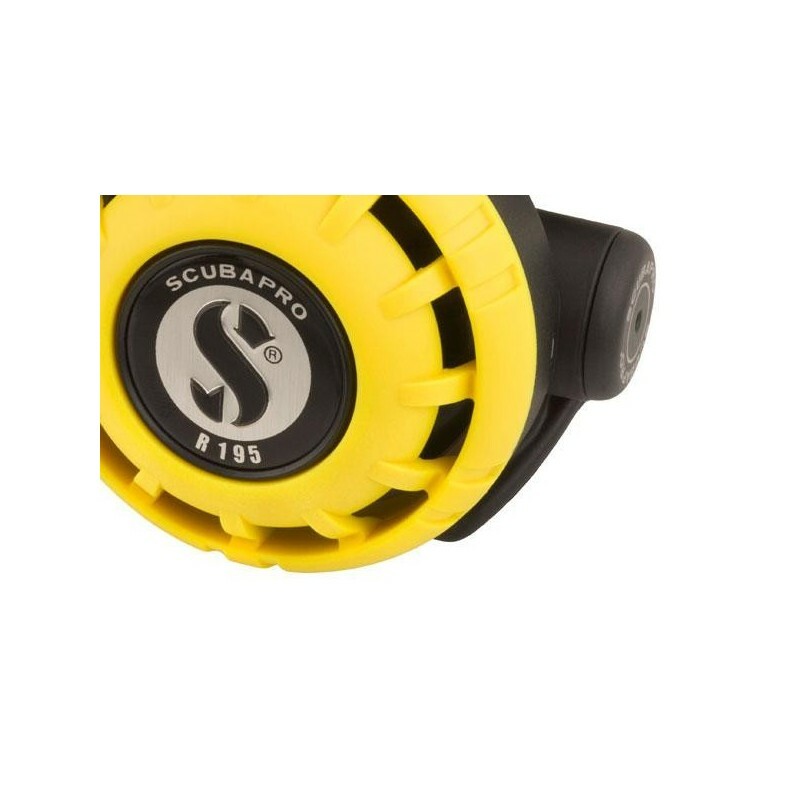 The Scubapro R195 Octopus brings together the classic style of the R190 with the features, materials and technology of modern Scubapro regulators. 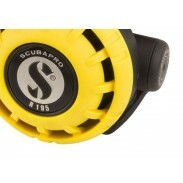 The R195 is a modern second stage design based on SCUBAPRO's time-honored R190 but re-engineered with modern materials. 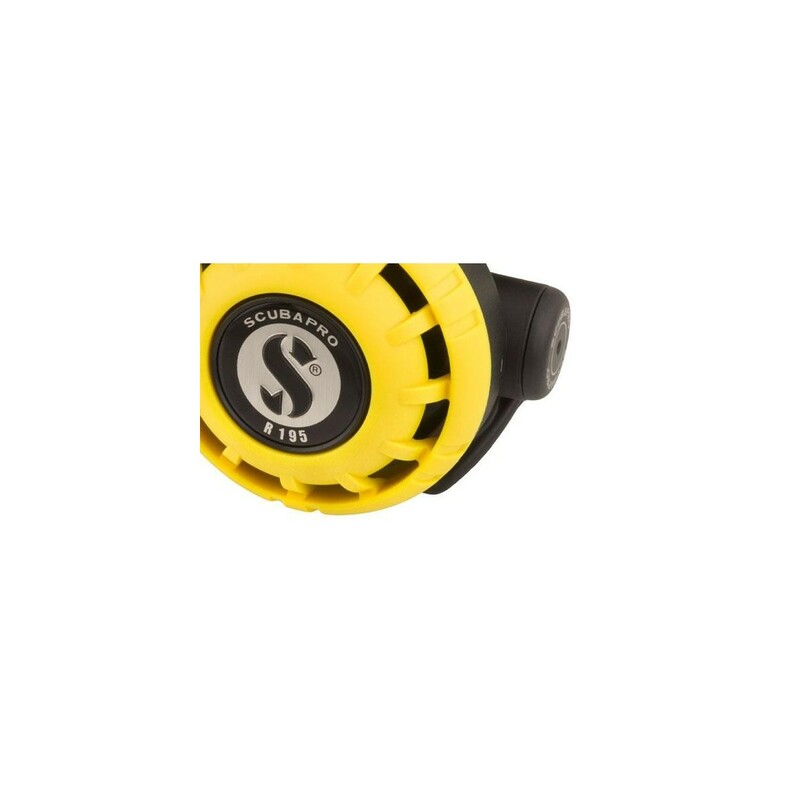 It combines a classic downstream valve with a large diaphragm, functional purge button and VIVA switch for smooth and easy breathing and simple operation. Its robust construction, smooth air delivery and reliability makes the R195 a sensible second stage for new divers and a perfect choice for deco tanks thanks to its reversible hose attachment. 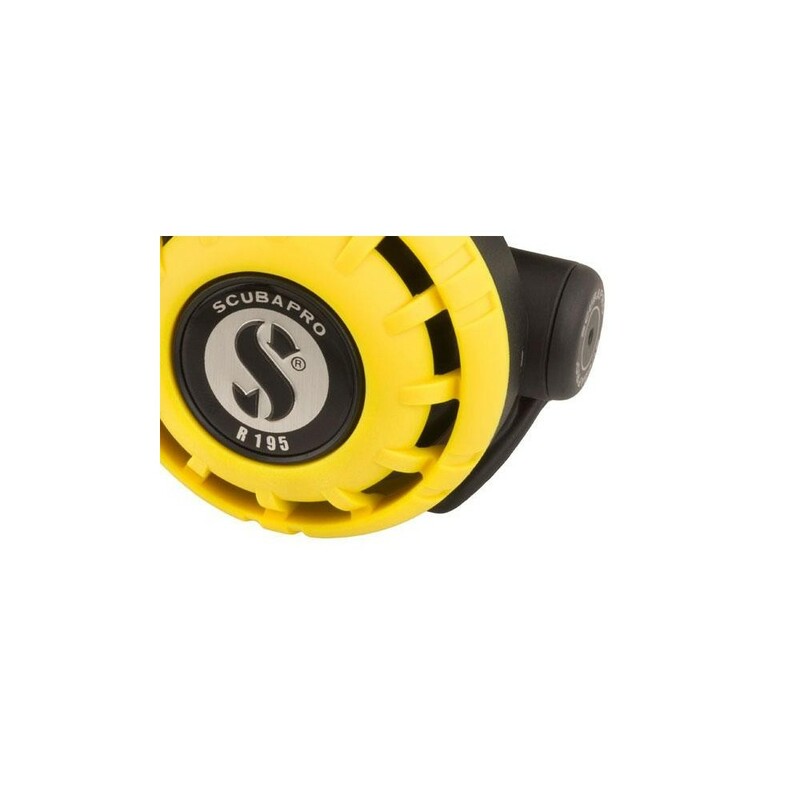 The R195 OCTO combines all the features of the standard R195 with a high visibility yellow cover and a 39-inch yellow hose that makes it easy to share with a buddy in need. For new divers as well as veterans looking for an economical backup breather that's simple, dependable and features high visibility, there's no better choice than the R195 OCTO. • Classic downstream valve comes with a VIVA switch to control free flows. 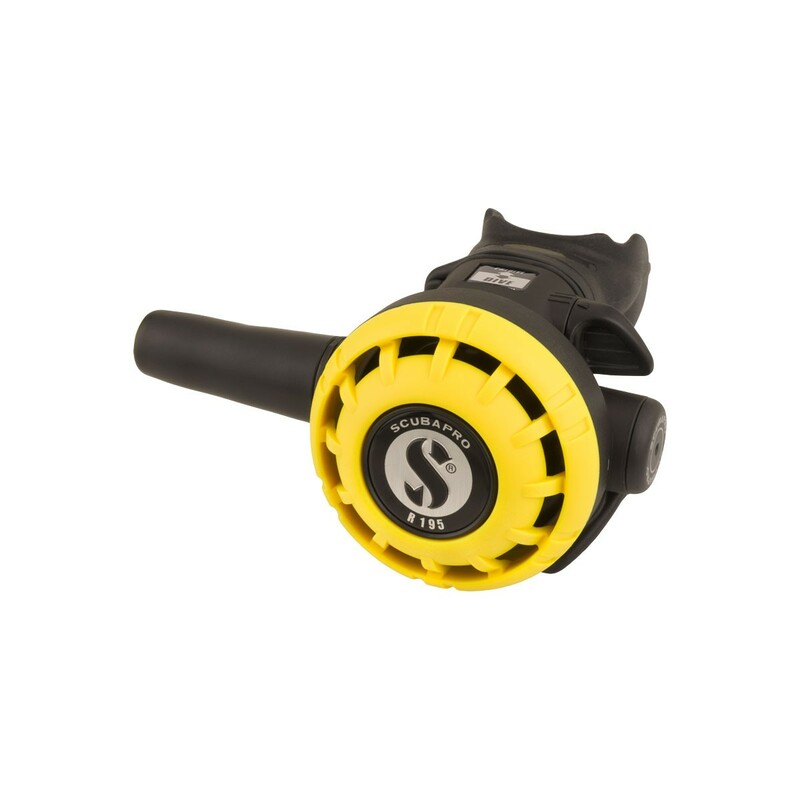 • Yellow super-flow hose is 39 inches long and features an oversized bore to increase airflow.